Released in 2018, the Vox Mini Superbeetle paid tribute to two of the most iconic amplifiers produced during the 1960s, the JMI Vox AC-100 Super Deluxe and the Thomas Vox Super Beatle. 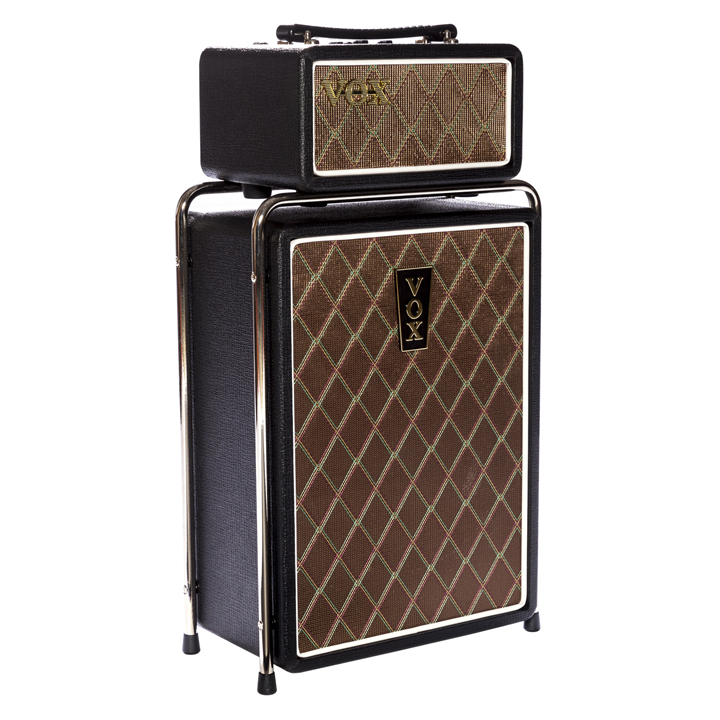 Like the Vox AC-100 Super Deluxe, the Mini Superbeetle featured a chrome stand and single channel amp head housed in a rectangular cabinet. 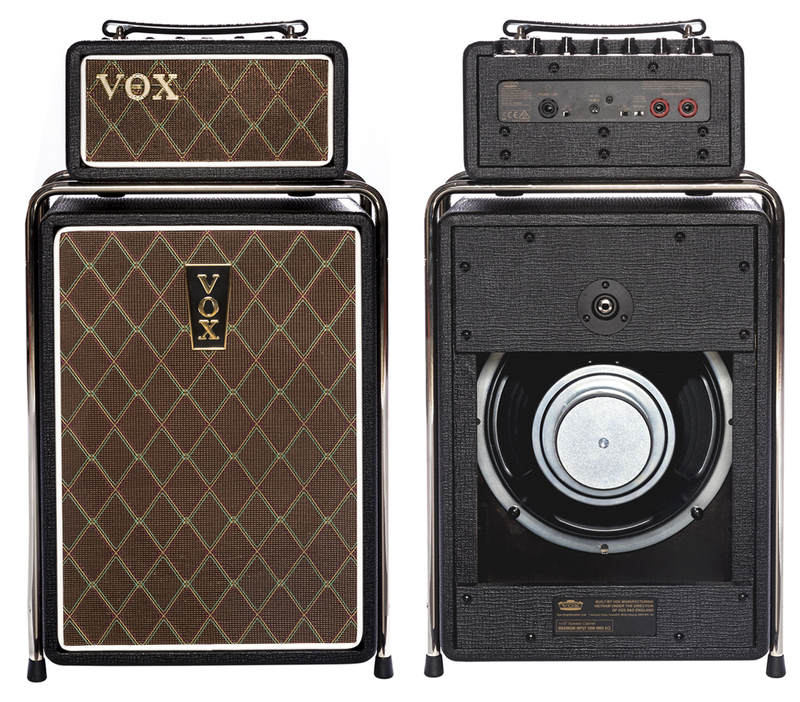 The vertical Vox logo installed on the Mini Superbeetle speaker cabinet was similar to the logo installed by Thomas Organ on a Super Beatle. While both the AC-100 and Super Beatle were over 55" tall, the Mini Superbeetle measured just 23½" in height. The mostly solid-state amp Mini Superbeetle head featured a tremolo circuit powered by a modern version of the classic 12AX7 vacuum tube, the Korg "Nutube." It utilized new, maintenance-free technologies derived from the flourescent displays used on Korg keyboards. It allows the Nutube 6P1 to perform the same functions as a traditional 12AX7 vacuum tube. In addition to Volume, Treble, Bass and Gain controls, the Mini Superbeetle also included a digital reverb circuit. The Mini Superbeetle head incorporated the Class D solid-state power amplifier section originally designed for the Vox MV Series of mini amp heads. This power amp design was capable of delivering 50 watts RMS into a four ohm load. With an 8 ohm load, such as the Mini Superbeetle cabinet, the head produced 25 watts. The head produced 12½ watts RMS with a 16 ohm load. The open backed Mini Superbeetle speaker cabinet featured one 8 ohm 10" Celestion speaker rated at 50 watts RMS. The speaker cabinet also included a non-swivelling chrome plated stand.